on 6/17/2018 The best olive we have ever had. Recieved 2 cans of the Super Colossal Black Olives as a gift fell in love with then. Once you've tried Colossal black olives from the Olive Pit, you'll never want to go back to regular store olives again! YUM! These olives are so much better than any other canned olive. Everyone I serve them to says so. Other brands are mushy. These are firm and the flavor is wonderful. If you're doing the boring I 5 drive you have to stop and get some! Or order online. Yum! Great!! Makes an impressive side dish at any occasion. The just love the colossal size and the olives taste wonderful. It is a holiday favorite at our family celebrations. 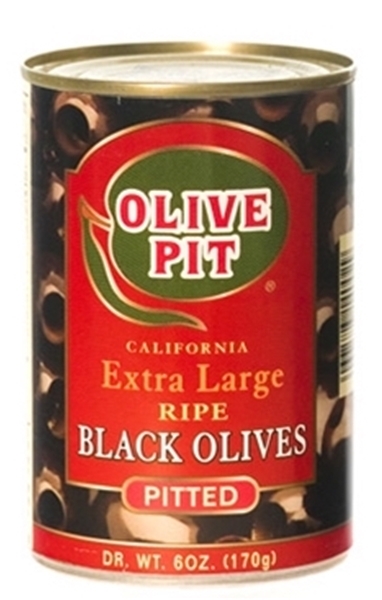 on 3/10/2010 the Super Colossal Ripe pitted black olives are the best! These are wonderful when slices and put in salads or sandwiches!! Hmmmm... they are really wonderful.